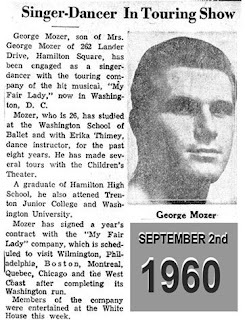 George was one of the leads in our 1951 production of "Tulip Time." He was also an excellent athlete. During the 1950's, George and classmate Bob Shinkle were very active gymnastically in a tumbling presentation that made it to the Ed Sullivan TV show. They performed some impossible feats of physical contortion and impressed all who saw their program. 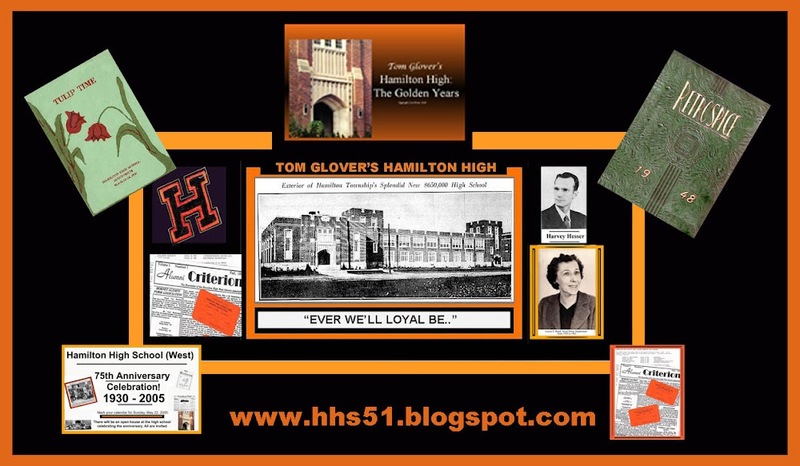 Look up the words "humble," "talented," and "personable," in your Funk and Wagnall's, and you could see George's photo. He moved to the Virgin Islands way back in the 50's and recently visited my office at the library with Bob Shinkle. We miss you, George and hope the next time you return to Hamilton you will make another visit to the library.